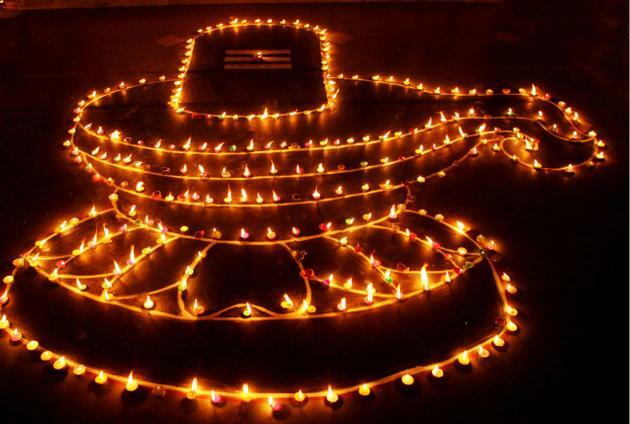 Tamil Nadu celebrates Karthigai Deepam as the traditional festival. 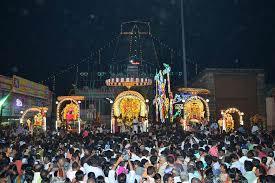 It is a very old festival and is also celebrated in the neighboring states like Kerala, Andhra Pradesh and Karnataka. This festival is very important among the Tamils and every Tamil want to celebrate it wherever they are in this huge world. The earliest Hindu scripture states that the two great deities of Hindu culture Lord Vishnu and Lord Brahma started fighting among them regarding the superiority. They both thought each one was stronger than the other. To stop this huge fight, Lord Shiva came in front of them and tried to show his supremacy. He took the shape of a huge fire and challenged the two fighting Gods to find the end of the fire from the top and bottom. Lord Vishnu took the form of a boar and tried to reach the end of the fire beneath the earth. He failed miserably and came back to Lord Shiva saying that he was unable to find the end of the fire from the bottom. Lord Brahma on the other hand, took the shape of a swan and flew to find the beginning of the fire on the topside. But his search was also in vain and he was unable to find the top of the fire. Thus, Lord Shiva proved his supremacy over the two Gods and managed to stop the fight. Lord Shiva actually proved that he is the main God of the earth and there is no use in fighting among other Gods regarding their supremacy. He then appeared like hill shape on Thiruvannamalai region. 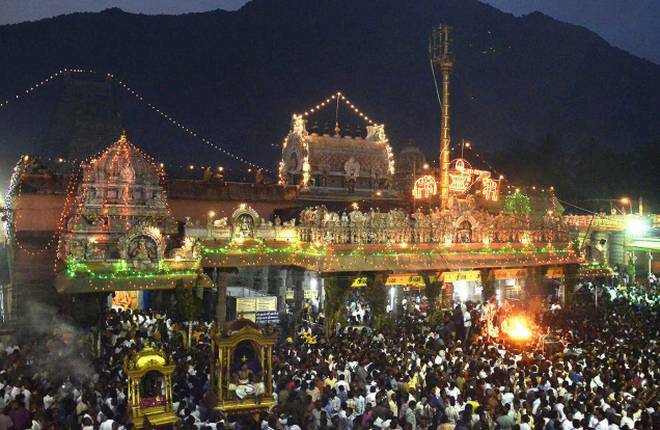 In fact, the names Tiruvannamalai’ and `Arunachala’ denote “holy fire hill”. Later on the kings and famous personnel built a temple on the hill in commemoration of Lord Shiva. This festival is celebrated with great marvel in this particular place. Another legend links karthigai Deepam to Lord Muruga. Lord Muruga adopted the form of six babies in Saravana poigai, a lake and was looked after by six krittika stars. On this day, Goddess Parvathy united all the six forms of Skantda. Thus, Lord Karthikeya has six faces and popularly known as Aarumugan in Tamil culture. Karthigai Deepam is very old and people from long back have been associated to this auspicious occasion. The actual history may not be clearly stated in the scriptures but some citations have been found in the ancient writings. One can find a reference to this festival of lights in the the age old literature of Tamils known as Ahananuru, a collection of poems. It is one of the great books of Sangam literature that talks about the happenings between 200 BC and 300 AD. Avaiyyar, renowned woman of Sangam age also mentions about karthigai Deepam in her poems. Hindu people respect and have complete faith on Lord Shiva. They consider him as the protector of the world and pray to him at all times. They have a strong faith that HE will see to all their sorrows and will take great care of them. He will try to fulfill all the desires of the humans coming to him with prayers. Sri Annamalaiar Hill is considered as Lord Shiva’s great presence in Thiruvannamalai. 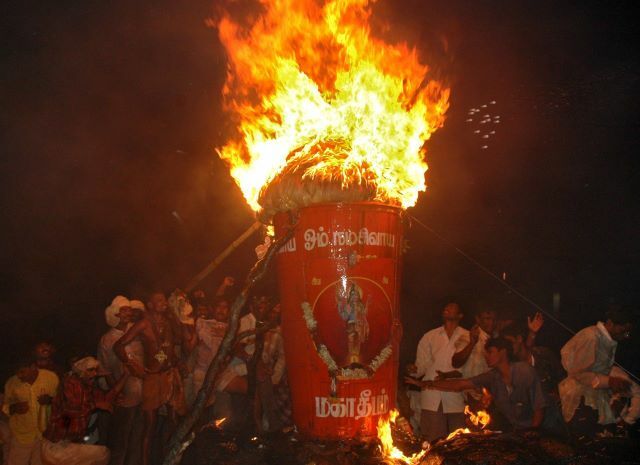 People believe that the huge light lit during 5 pm will make people close with Lord Shiva on Kathigai Deepam. Lord Shiva will shed all his blessings during this special time of the year. He is rigidly worshipped during this time. Great care is taken to light the huge fire in this place. People gather around the place and call in the name of Shiva to put an end to all the troubles and bring in peace in every life. This festival of lights involves lighting lights almost anywhere to put an end to darkness. They want to show lights to the Gods who will be impressed with their worship and continue to look after the followers for ages to come. One must not miss out the grand occasion occurring on the hills. They will feel very close to Lord Shiva and his power if they see the worship and the lit fire.